Cover plants with netting. If using fine netting, this will need to be removed if snow is forecast, as snow could settle and potentially damage your plants. Using wider mesh prevents this problem occurring. Planting now, either in free draining soil or in pots ensures a long growing season, therefore, a better crop. White currants, red currants and gooseberries can be pruned now. Remove any dead, diseased or weak stems, and then cut back to 1 or 2 buds from the base of each stem. If the weather has been mild and the grass is still growing, cut the grass with the blades on the highest setting. Do this only when the ground is firm and dry or you could do more harm than good. During the cold winter months, food can be scarce for our feathered friends. By putting out high energy bird food such as peanuts and fatballs, you will be helping to keep the local bird population healthy. 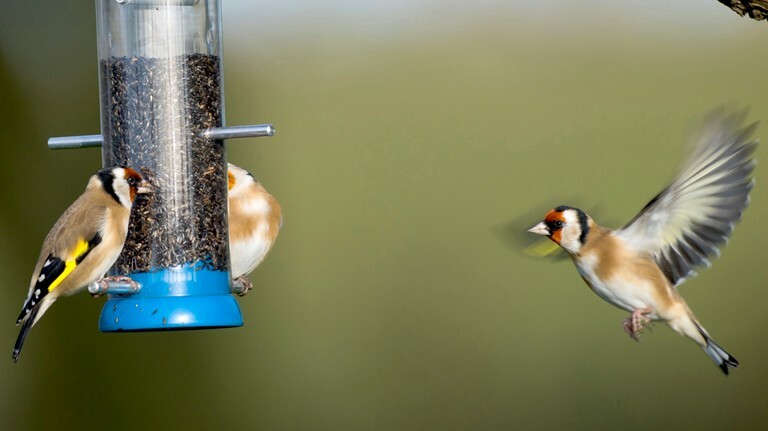 Feeding the birds all year round ensures they stay around and return the favour by providing great pest control! *Opening times in the seasons may alter.